How you manage your practice's claim performance directly effects the revenue brought into your practice. But for many eyecare practices, gathering information and metrics on the claims process can be challenging which results in important habits and inefficiencies going unnoticed leaving revenue out on the table. But, with the right claim management platform, you can gain easy access and transparency into the performance of your claim cycle to help you uncover underlying errors that are hurting your revenue. Let's look at three risks your practice is exposed to if you aren't consistently measuring your practice's optometric billing performance. 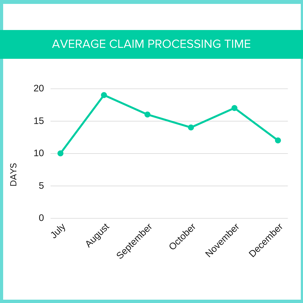 Having access to different claim reports will help you and your team uncover areas in your claim cycle where you can make improvements to collect more on your reimbursements. You should look for reporting on things like denial reasons, top paid procedures and payers, and utliziation reports to see the patterns your practice follows month over month. 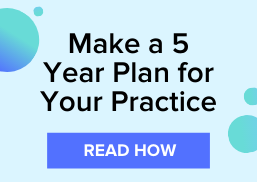 It will be even more beneficial if you can not only see your own month over month comparisons to see where you're making improvements in denials, but if you can also compare your practice's performance to state and national averages. It's good to have a pulse on where you stack up with competitors in the industry. Seeing your top denial reasons and rates will help your practice make the necessary changes in the billing process to be able to decrease on those denials over time - which will get you reimbrused faster. When it comes to insurance, payments, and bills patients can quickly get disgruntled. Having a strong hold on the insurance and billing process in your own practice will help keep your patients happy. Part of that equation is pulling patient benefits ahead of each appointment and effectively communicating them with the OD so that a patient knows at the time of their appointment what is covered and what is expected to be paid by them. If your patient doesn't know what they need to pay at the time of their appointment, your chances for collecting on those dollars significantly decreases once the patient steps out the door. Staying on top of benefits helps you keep your account receivables in check. And, the number one most important reason to be paying attention to your claim metrics is your revenue. If you don't have transparency into the performance of your claims and billing there is a very high chance you have money left on the table that you might not even be aware of. It's hard to make buisness decisions based just on assumptions and guessing. The proper reporting will help you make informed, data-driven decisions that will benefit your practice for years to come and help you grow your business year after year. Learn more about making more money on your reimbursements by downloading, The Definitive Guide to Making More Money on Claim Reimbursements.